The Governor of NSW, His Excellency General the Hon David Hurley (Rtd) launched the new and important partnership between Charles Sturt University and Royal Far West at an event at Government House in Sydney. Children and families from rural and remote Australia could see a major shift in the affordability and access to health services targeted at childhood development. Royal Far West (RFW) and Charles Sturt University (CSU) are partnering in a one year discovery phase that will assess the feasibility of developing a National Paediatric Telecare Centre. 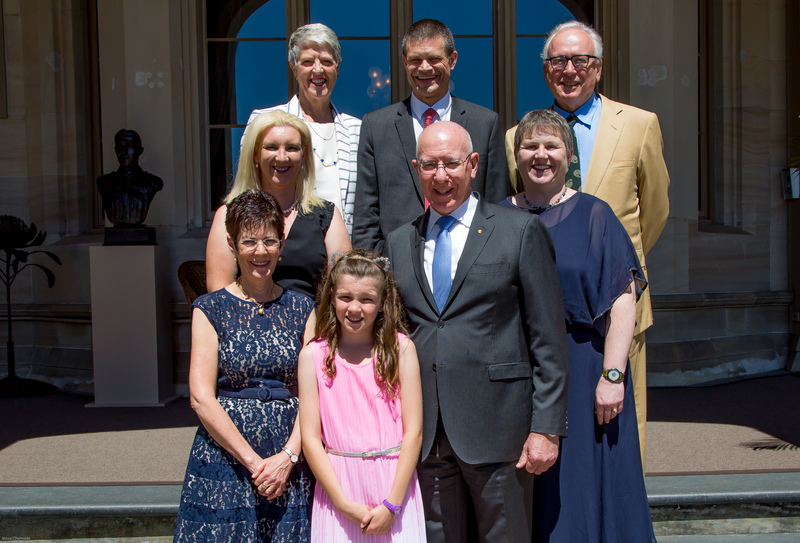 The partnership was launched today at Government House Sydney by the Governor of NSW, His Excellency General The Honourable David Hurley AC DSC (Ret’d), Patron of Royal Far West Children’s Health Scheme. “I’m pleased to be associated with this venture and wish both Royal Far West and Charles Sturt University every success as they go forward with this important work,” Governor Hurley said. -Increased numbers of CSU students will gain exposure to rural community services, and gain knowledge and practice in the use of technology-assisted service delivery. Professor Vann and Ms Cane both remarked at how very proud they are to be working together and are looking forward to the many positive outcomes this partnership will have for children, families, healthcare professionals, educators and governments in rural and remote Australia. Contact Claire Coulton for interviews with Ms Lindsay Cane and the Royal Far West family.